I would like to share with you an important decision rendered by Judge Harry Leinenweber of the United States District Court for the Northern District of Illinois on August 31, 2015 (as reported by the Chicago Sun Times here). Federal prosecutors charged defense attorneys Beau Brindley and Michael Thompson with coaching witnesses to lie under oath. The Chicago Sun Times reported that federal agents raided Brindley's office and found four conflicting versions of question and answer forms used to prepare a client to testify under oath. The prosecution contended that the conflicting question and answer forms were evidence that Brindley was coaching witnesses to lie under oath, whereas Brindley and Thompson argued that the question and answer forms constituted the normal process of witness preparation and that they are commonly reviewed for accuracy and revised over a series of interviews. In addition to the scripts in question, numerous clients of Brindley's from other cases from 2008-2013 testified in the trial that Brindley had coached them to lie under oath. Ultimately, Judge Leinenweber acquitted Beau Brindley and Michael Thompson of all 20 counts that they were charged with, stating, “The government has not proved any of the counts.” Courtesy of Above the Law, Judge Leinenweber noted that many of the witnesses presented by the prosecution had previously lied under oath, while the use of scripts to prepare clients to testify constitutes standard practice for any defense attorney. This prosecution represented nothing short of an assault on the attorney-client privilege and the profession as a whole. The fundamental duty of an attorney is to vigorously represent his or her client. The failure to properly prepare a client to testify under oath would be a dereliction of duty for an attorney. In this case, the prosecution alleged that because different versions of the scripts had slightly different facts, Brindley and Thompson were coaching their clients to lie under oath. 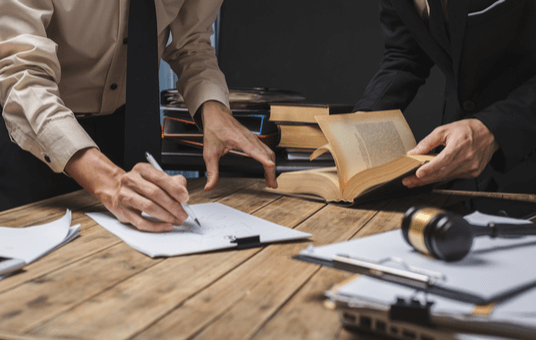 However, any experienced attorney understands that scripts are an important tool for preparing clients and witnesses to testify, and that they need to be updated if a client alters an aspect of his or her testimony. This normal process in no way entails that coaching clients to lie under oath, but rather is a critical part of effectively, and responsibly, representing a client. Prosecutions such as this one have a chilling effect on the profession, forcing attorneys to wonder whether they may be prosecuted for no more than fulfilling their responsibilities to their clients. Furthermore, because one of the foundations of our criminal justice system is the right to representation for the accused, the notion that effective assistance of counsel is a prosecutable offense is a grave danger to the exercise of justice in the United States. Fortunately, Judge Leinenweber used his sound judgment and experience to cut through the prosecution's arguments, acquit Brindley and Thompson, and vindicate the sanctity of the attorney-client relationship. It is no exaggeration to say that Judge Leinenweber's careful consideration of the facts in this case and reasoned decision rendered a great service to the criminal justice system of the United States.